As soon as sun arrives the first thing I like to sort (apart from which peachy pink lipstick I'll wear to death over the next few months) are my summer accessories. Strappy dresses and crop tops are all well and good but add a pair of sandals, sunnies & new season bag to any outfit and you'll feel ready to hit the beach- AKA pigeon filled park on your lunch break. The tan fringed bag is my favourite purchase of the bunch, as the 70's fringing make it bang on trend and it's a great size for all the essentials, plus this cost just £7 from Primark. I also really love my new sunnies, which are a pair of white framed vintage club masters found in the brilliant depths of jumble that make up Brighton's 'Snoopers Paradise'. If you're heading there this Summer you have to visit and take sandwiches in case you get lost... Last but not least we have sandals- these rose gold buckled numbers glinted at my inner magpie whilst 'window shopping' Zara last week and haven't left my feet since. And so begins my mission to wear the above always complete with a mojito/expresso magnum #summerdreams. 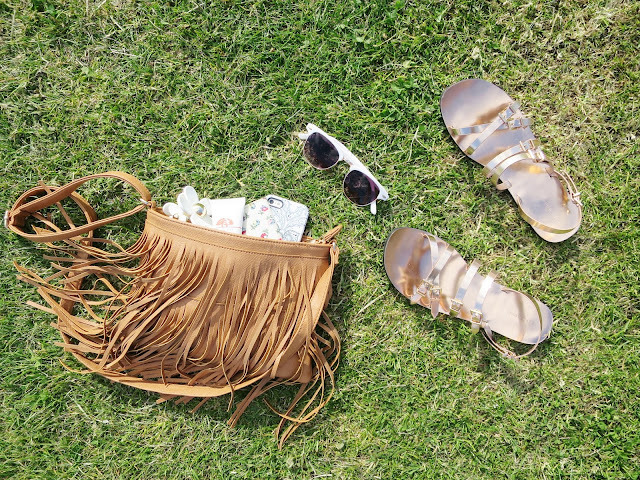 Have you stocked up on summer accessories? I've stocked up with my boho jewellery but I still need that cute fringe bag though! I love those sandals! 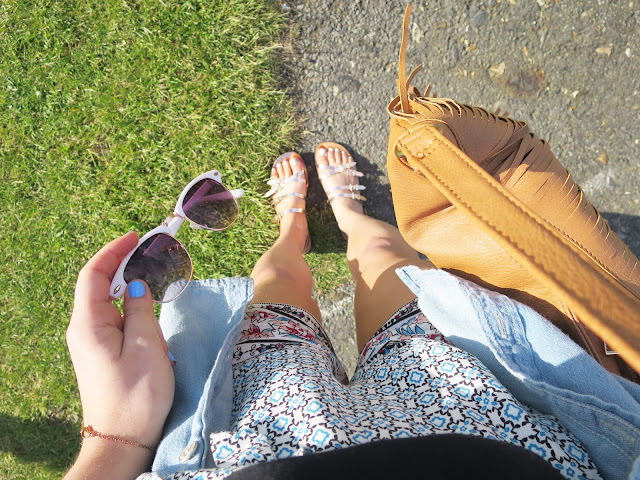 I never really wear accessories but am going to try and embrace it more this summer! I absolutely love that handbag, I wouldn't have guessed it was from Primark! I really need to pop in there as I haven't been for ages and they seem to be knocking it out of the park with their accessories at the moment from what I've seen on blogs and instagram :) Loving this sunny weather!